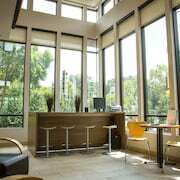 This downtown Minneapolis business hotel is near the US Bank Stadium, Target Field, the Minneapolis Convention Center, Nicollet Mall, and the Target Center. 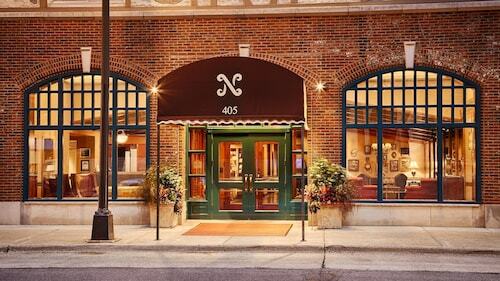 Situated in the historical district, this hotel is within 1 mi (2 km) of Abbott Northwestern Hospital and Minneapolis Institute of Arts. U.S. Bank Stadium and Minneapolis Convention Center are also within 3 mi (5 km). Lake Street - Midtown Station is 26 minutes by foot. 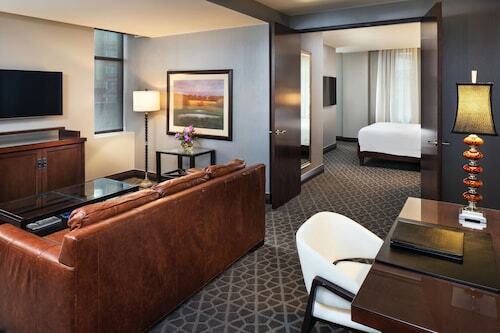 Located in Downtown Minneapolis, this luxury hotel is steps from Minnesota Orchestra Hall and Nicollet Mall. Minneapolis Convention Center and Orpheum Theatre are also within 10 minutes. Government Plaza Station is 12 minutes by foot and Nicollet Mall Station is 12 minutes. 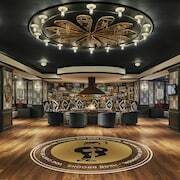 Situated in Minneapolis, this hotel is within a 15-minute walk of TCF Bank Stadium and University of Minnesota-Minneapolis. U.S. Bank Stadium and Guthrie Theater are also within 3 mi (5 km). 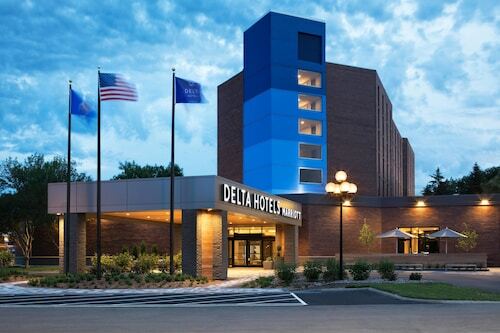 Located in the heart of Minneapolis, this hotel is within a 15-minute walk of TCF Bank Stadium and University of Minnesota-Minneapolis. U.S. Bank Stadium and University of Minnesota-St. Paul are also within 3 mi (5 km). Situated in Minneapolis, this apartment building is 0.9 mi (1.5 km) from Minnehaha Park and within 6 mi (10 km) of U.S. Bank Stadium and University of Minnesota-Minneapolis. Minneapolis Convention Center and Target Center are also within 6 mi (10 km). 46th Street Station is 12 minutes by foot and 38th Street Station is 19 minutes. 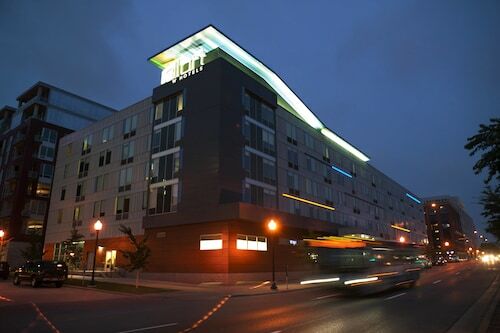 This Twin Cities hotel is in downtown's trendy Mill District, an area rich in history, culture, and lively urban energy. You have had a stressful week balancing your work and personal life and now it's time for a much needed getaway. Book a stay at one of the Minneapolis hotels with a Jacuzzi suite and soak away the stresses of real life. With so many things to do and sights to see in Minneapolis you will likely be worn out and in need of some papering. Give yourself a nice long rest in the hot tub and feel your muscles be rejuvenated. And since you wouldn’t want to drop your cell phone in the water, leave your phone in your room and really take a moment to fully unplug. 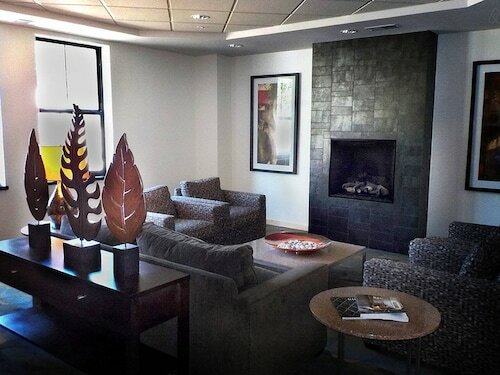 You can also make a stop at the on-property or nearby spa for some extra relaxation. If you're looking for a romantic excursion or just prefer your own space, book a hotel in Minneapolis with an in-room Jacuzzi. Browse on Travelocity and the stress of booking a Minneapolis Jacuzzi hotel will fade away just like your sore muscles will fade in the hot tub. 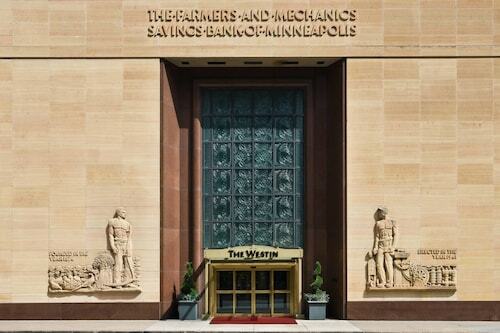 Indulge in a tip to Minneapolis knowing that you will get the best deals available with our Price Guarantee. The room was very nice and I loved the view to. The staff was nice as well. There where a few loud abnoxous people but that’s to be expected since it’s st. Patrick’s day weekend. But over all I like my experience here for being my first time here i would come again. Contemporary style, great local, cool on site bar. Close to light rail and US Bank Stadium. Free US Today. Comfortable beds in which to sleep. I liked the body wash and shampoo dispenser in rhe shower.